This hike is not for the weak. This is for the people who are eager to be up at 6AM to prepare for this adventure. You need to be up hiking by 8AM to get a good start for the day. The hike is four miles in and four miles out through water, small hills, and through sand. There are also tons of large rocks that you have to maneuver around. Make sure to bring around a gallon of water due to the high altitude. We didn’t follow those instructions when we went and boy did we pay for that. You can’t bring enough water for this occasion. You hike down a very steep canyon starting off, so coming back is excruciating after hiking for eight miles. The views are magnificent, and by the time you reach the marvelous site that is the Subway, you’ll be so glad that you did. It feels like you’re in some eroded grotto that is thousands of years old. It feels euphoric just standing there. 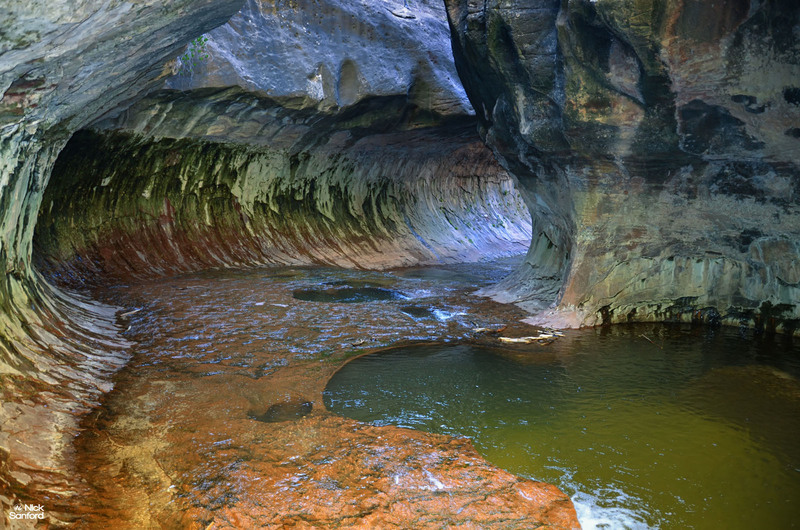 The Subway and The Narrows are two of the best hikes you can make throughout all of America from a scenic perspective. They are both at Zion National Park. Make sure to book in advance if you are eager to explore the subway. You do have to get a permit from the park office and they only let a certain number of people visit there each day.